ST. PAUL, Minn., March 2, 2018 –The Board of Trustees of Minnesota State Colleges and Universities has voted to name Devinder Malhotra as the chancellor of Minnesota State. The move comes after a search committee forwarded to the Board of Trustees three finalists for consideration, and the board concluded that none of the three were the right individual to serve as chancellor for Minnesota State. After approval by the Board, Malhotra is to be offered a three year contract to serve in the role of chancellor. Malhotra has been serving as interim chancellor since August, 2017 after the retirement of Steven Rosenstone, who served as chancellor from 2011 to 2017. Malhota was appointed to this role in February, 2017 after the Board of Trustees concluded at that time that a nationwide search for a permanent chancellor had not identified the right individual to serve in this role. The next phase of the search began in September, 2017, and culminated with the March 2, 2018 special meeting of the Board of Trustees to consider three additional finalists, and the Board again concluded that none of the finalists was the right individual to serve as chancellor for Minnesota State. Vekich stated he will be commissioning a strategic taskforce to evaluate all processes related to student success to understand the barriers students experience and ensure they are able to achieve their education goals. 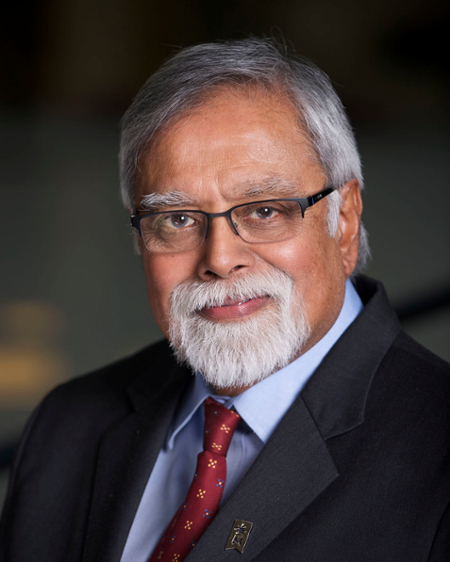 Prior to his service as interim chancellor, Malhotra had served in leadership positions at other Minnesota State universities including Metropolitan State University as interim president from 2014 to 2016, and at St. Cloud State University as provost and vice president for Academic Affairs from 2009 to 2014. Previously, he served as the dean of the college of Arts and Sciences at the University of Southern Maine from 2005 to 2009 and as associate dean of the Buchtel College of Arts and Sciences at the University of Akron. He also served as a tenured professor of economics on the faculty of the University of Southern Maine and the University of Akron. He holds a bachelor’s degree and a master’s from the University of Delhi and a doctorate from Kansas State University. He has also completed the Management Development Program of the Harvard Institutes for Higher Education. The chancellor is the chief executive officer of the Minnesota State system and has full executive responsibility for higher education leadership and effective management and operation of the system. The chancellor’s responsibilities include implementing board policy; providing for academic leadership including making recommendations to the board for college and university presidents and cabinet members; recommending operating and capital budgets; recommending allocation of resources; systemwide planning; oversight of collective bargaining; coordinating enterprise-wide information systems; management of personnel resources; and annual evaluation of the college and university presidents. The chancellor works in close collaboration with the system’s Leadership Council comprised of the chancellor’s cabinet and the presidents of the colleges and universities.